An official currency of China is slated to become a digital asset, according to a leading analyst. Donald Tapscott – executive chairman of the Blockchain Research Institute – claims that the currency renminbi (RMB) will likely become a cryptocurrency in the coming years. China has not had a stellar relationship with digital assets in the past. Last year, the country banned all crypto-based trading and limited exchange platform activity expressing concern over malicious behavior (i.e. hackings and theft) and the volatile nature of digital currency prices. In addition, the country has released a list of environmental hazards its looking to stop in the coming years. Among the items listed was bitcoin and cryptocurrency mining, though it’s unclear when (or even if) China will commit to this. China has been releasing similar lists for years and done little to nothing about these alleged hazards, so it’s difficult to say if bitcoin mining really has no place in China’s future. It’s not really necessary to do that [to ban exchanges and mining] because in 20 years we are not going to be using bitcoin in China. Chinese people will use the RMB, only the RMB will become a cryptocurrency. The central bank of China will turn it into a digital currency. Tapscott also had much to say regarding digital financial exchanges. He exclaimed that not only can they do business in China, but that they’re likely to dominate central exchanges thanks to their transparency and abilities to detect “bad behavior.” He says that virtually all assets, even securities, will eventually make their way onto decentralized exchanges. What Will China Lose Through a Mining Ban? China has taken a harsh stance against cryptocurrencies, going so far as to ban initial coin offerings (ICOs) in 2018. At the same time, the country does serve as a global crypto hub, with roughly 60 percent of new bitcoins being mined and emerging from Chinese mining pools. The country’s main crypto-mining company, Bitmain, controlled as many as 11 separate mining farms in China by mid-2018. Should the NDRC ever set forth a bitcoin mining ban, Bitmain and other giants like it could suffer greatly, and China would lose one its biggest revenue sources. China is also a leader in the blockchain space, with a reported 263 blockchain projects occurring at the time of writing. The post Is a Main Currency of China Going Digital? appeared first on Live Bitcoin News. Binance Coin (BNB) has shot up to a 15-month high following its exit from the Ethereum blockchain. The currency – from one of the largest cryptocurrency exchanges in the world (Binance) – has moved to its own blockchain space, proving itself as a primary competitor to the second-largest cryptocurrency in the world by market cap. The blockchain is called Binance Chain and seeks to allow crypto startups to issue new currencies directly via the company’s platform. Binance Coin is rising in price due to the anticipated unity it will offer as the Binance ecosystem grows. Binance has a big edge in the space with a high-volume exchange and a big user base. They are doing the right things and that is reflected in their token’s price appreciation. The ledger will also serve as the home of Binance’s future decentralized exchange. The system will allow customers to “trade more directly” than they would on centralized exchanges. The launch of Binance Chain is one of the most important crypto events of the year. Binance Chain is competing with one of the primary use cases that helped catapult Ethereum into what it is today: issuing and trading tokens, and because Binance Chain is designed with that specific purpose in mind, it does a much better job (speed, transaction fees, etc.) than Ethereum can. I expect all of the regulated token offerings and [initial coin offerings] ICOs moving forward to take place on Binance Chain, as it simply provides a much better platform for these use cases. One of the chain’s biggest pluses is the fact that companies will be able to raise funds through ICOs. Binance offers lots of exposure and liquidity to startups. Many of these startups have complained about their previous option, the Ethereum network, saying that it was often difficult to get their coins listed even after paying listing fees. The move also stirs questions regarding the future of decentralized exchanges, known as Dexes. Many believe that this will spark higher usage of Dexes, which at press time, account for only a small portion of trading in the crypto space. Users and fanatics will now be able to directly participate in the economics of the platform without any barriers. The biggest question is, ‘Will the Binance Chain be able to offer the same speed and functionality as the Binance Exchange?’ We think so. The post Binance Coin Explodes as it Moves to New Chain appeared first on Live Bitcoin News. 2020 democratic presidential candidate Andrew Yang is becoming very popular amongst cryptocurrency users. Crypto… In the White House? The entrepreneur says that among his duties as president will be fixing the country’s “confusing” cryptocurrency regulations. He wants a set list of regulations that companies and individuals can follow, so they no longer need to fear digital investing opportunities. Already (and like most Democrats’ plans for the election), there are loopholes in Yang’s ideas. First off, he says he wants to protect users from “random changes” to these rules. Things are going to change over time. We need to accept this and make room for it. The cryptocurrency space is going to change, which means that the rules must do so as well. If we keep the same rules and regulations in place under all circumstances, this is a hindrance to the cryptocurrency space. It will not mature, it will not grow, and it will not attract the right users. We need to leave the door open to potential alterations should the space ever call for this. Where Yang does have his head in the right place is that he wants to give the United States a competitive edge. He says that during the present time, the U.S. cannot compete with regions like Europe and China thanks to its lagging crypto regulations, and it needs to step up to the plate if it’s going to cement itself as an official crypto hub in the future. Right now, many federal officials are working to regulate cryptocurrencies by themselves. This is the wrong route to take. These organizations need to come together and agree on a national plan for the country that all individuals and businesses follow depending on their sizes and the money in question while leaving the door open to change current regulation patterns should this be required to benefit the space and its respective users. It’s time for the federal government to create clear guidelines as to how cryptocurrencies and digital asset markets will be treated and regulated. He says that if elected president, he will work with Wyoming legislators and the Token Taxonomy Act and model his cryptocurrency regulations after what they’ve done. Yang’s campaign has been accepting bitcoin, Ethereum and other cryptocurrency-based donations. He also admitted he’s an avid fan of blockchain technology in a Reddit Ask-Me-Anything (AMA) session. Where Yang falters again is in his plans to give everyone a $1,000 each month through a “Universal Basic Income” plan. Like all Democratic candidates, he has plans to give money or benefits out to American citizens – much like Bernie Sanders’ idea for Medicare for All – but is ignoring the hefty tax bill that will likely arrive after the plan takes effect. The post Andrew Yang… The “Crypto” President? appeared first on Live Bitcoin News. Bitcoin cash price failed again near the $335 and $340 resistances against the US Dollar. The price corrected lower recently and broke the key $300 support level. There was a break below a major bullish trend line with support at $301 on the 4-hours chart of the BCH/USD pair (data feed from Kraken). The pair could dip towards the $285 or $275 support before a fresh increase above $300. Bitcoin cash price is currently correcting lower below $305 against the US Dollar. BCH could test $285 or even $275 before the bulls take control for a fresh increase. This week, there was a sharp rally in bitcoin cash from the $255 support area against the US Dollar. BCH/USD rallied above the $285 and $300 resistance levels. There was even a close above the $300 level and the 55 simple moving average (4-hours). The price climbed above the $320 level, but it struggled once again near the $335 and $340 resistances. A swing high was formed at $336 and recently there was a downside correction. Bitcoin, Ethereum and ripple too corrected lower, dragging bitcoin cash price below the $305 and $300 support levels. There was a break below the 50% Fib retracement level of the last wave from the $255 low to $336 high. More importantly, there was a break below a major bullish trend line with support at $301 on the 4-hours chart of the BCH/USD pair. The pair tested the $290 support level and it is currently near the 55 simple moving average (4-hours). The 61.8% Fib retracement level of the last wave from the $255 low to $336 high is a strong support near the $286 level. Below $286, the price could extend its decline towards the $275 or $274 support. Once the current correction is complete, the price is likely to bounce back above $300 and $305. The next key resistance is at $315, above which the price may revisit the $335 and $340 resistances. Looking at the chart, bitcoin cash price seems to be struggling below $305 and $300. It must break a connecting bearish trend line with current resistance at $301 to move into a bullish zone. If it continues to struggle, there is a risk of an extended drop to $285 or $275. If the bulls fail to defend even $275, the price may revisit the $255 support area. 4 hours MACD – The MACD for BCH/USD is gaining pace in the bearish zone. 4 hours RSI (Relative Strength Index) – The RSI for BCH/USD declined and it is now well below the 45 level. Key Support Levels – $285 and $275. Key Resistance Levels – $300 and $315. The post Bitcoin Cash (BCH) Downside Thrust Underway Before Sharp Bounce? appeared first on Live Bitcoin News. One place that allows you to do this is Just Answer. internet connection. A distraction-free zone would be helpful as well. Select your category from over 175 they offer. You can apply to as many categories as you’d like. info, work history, education, and uploading your resume. the requirements vary by category. Once you apply, expect a response within 5-10 business days. started and taking on your first customer. How Much Does Just Answer Pay? PayPal account. The transfer takes approximately 4 business days. If you’d like to see if you’re a good fit, learn more about the categories they offer, and start the application process, hop over to Just Answer’s website and get started. Make Money as a Freelance Researcher – If you consider yourself an expert researcher here’s how you can cash in your skills. 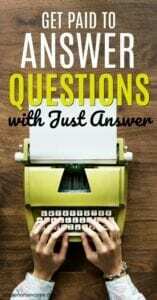 Get Paid to Answer Questions – 5 Sites that Pay – If you want to get paid to answer questions here are more companies to look into. 5 Companies that Hire for Data Entry – Looking for entry level work? Here are five companies that hire for data entry positions. The post Make Money Answering Questions with Just Answer appeared first on Single Moms Income. 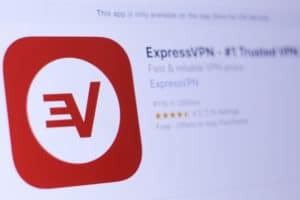 Leading VPN service provider ExpressVPN has rolled out a new platform for customers who aren’t willing to give an inch when it comes to their online privacy and security. Dubbed TrustedServer, this new server platform runs on system memory without having to rely on local storage devices. In other words, TrustedServer uses the machine’s Random Access Memory (RAM) rather than storing data on physical hard drives. Calling the new platform an “industry-first,” the company stated that TrustedServer stores user data only temporarily during an active session. Because all data is stored in volatile memory, the information is wiped clear as soon as the machine is powered off. The approach is clearly radically different from the conventional hard drive-based approach which cannot get rid of user data unless it is manually erased or written over once the drive is full. Of course, this older approach poses serious security threats as any breach of these servers could potentially give the attackers access to sensitive and possibly identifiable user data. Worse still, ExpressVPN said in a blog post, the attackers could even place a secret backdoor, gaining access to the server indefinitely until detected. ExpressVPN also confirmed that it has deployed the new platform across its entire server range comprising more than 3,000 machines worldwide. To add to the built-in security apparatus, TrustedServer also ensures that all ExpressVPN servers run on the same and most up-to-date software and configuration. While TrustedServer might very well be (arguably) the closest the VPN industry has technologically come to delivering a 100% secure server, it is still vulnerable to certain types of attacks. More specifically, it could fall victim to a Spectre-type vulnerability which involves attackers exploiting a running program to gain access to the system memory. That being said, odds of any such breach happening is comparatively low as it would require catastrophic failures on multiple fronts. ExpressVPN also said that it will soon publish more details outlining the technology behind the new platform. ExpressVPN Tightens Network Security by Getting Rid of Server Hard Drives was originally found on Cryptocurrency News | Tech, Privacy, Bitcoin & Blockchain | Blokt. Law enforcement agencies in the state of Utah are banned from doing digital data searches without a warrant, making it the first state in the US to adopt such a law. The citizens’ electronic data can only be accessed if the police or other security agencies get a warrant, with this latest development serving as a big win for privacy advocates. The lawmakers in Utah passed the Electronic Information or Data Privacy Act (HB 57), which will see law enforcement officers get a warrant before they access a person’s digital data, both stored and transmitted. The data protected under this new regulation includes writing, images, and audio. 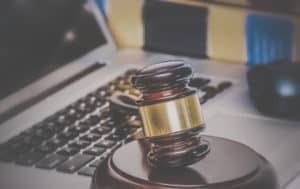 It is excellent news for digital service providers such as search engines, cloud storages, social media platforms, email providers, and others as they are now fully protected under the Fourth Amendment and its counterpart law in Utah. The HB 57 rule also contains some provisions that aim to boost transparency and accountability within the government. According to the new framework, when law enforcement agencies get a warrant, they will need to notify a person that their data has been combed through within two weeks. Digital data obtained illegally by the government will not be admissible in court; the HB 57 Act further clarifies. However, the law enforcement bodies are not handicapped in all situations. Under HB 57, the police will be allowed to gather location-tracking data or subscriber information without a warrant. However, this can only be done when there is an immediate risk of death, sexual abuse, human trafficking, kidnapping, or other grave incidents. Despite this latest development, the HB 57 does not cover medical or financial records in the possession of third parties. Thus, leaving the residents open to warrantless searching of their medical and financial records by the authorities. The passing of the HB 57 bill means that Utah is the first state in the United States to make such a move. The Act was in the legislature for a while and passed through five different substitutes before this final version was approved. The HB 57 Act is set to take effect in a few weeks. The HB 57 Act in Utah gives the Fourth Amendment a new look. The government at the federal level and the other 49 states still take advantage of the third-party doctrine to gain access to a massive amount of the people’s private data without the need for a warrant. The warrantless searches via third parties date back to the 70s when the Supreme Court upheld such acts in two cases. In both cases, the apex court ruled that the Fourth Amendment rights of the victims were not breached since they don’t expect privacy after voluntarily sharing their data with third parties. The third parties ruling became a big loophole via which law enforcement circumvent the Fourth Amendment, allowing them to access personal information at will. However, the third parties doctrine was severely affected when the Supreme Court ruled last year that collecting a person’s mobile phone record is regarded as a search under the Fourth Amendment. The court while addressing the case of Carpenter v. the United States pointed out that the Fourth Amendment protection is not entirely surrendered when a person enters the public sphere. In Utah though, the HB 57 Act serves as a good win for the people and a massive hit against the third parties doctrine. The HB 57 Act in Utah could as well serve as a model for other states to adopt. Utah Bans Warrantless Searches of Electronic Data by Police was originally found on Cryptocurrency News | Tech, Privacy, Bitcoin & Blockchain | Blokt. The Reserve Bank of India (RBI) has published its Fintech Regulatory Sandbox report. While cryptocurrencies could be included in the future, the bank noted that their services might not be accepted for testing currently. The absence of cryptocurrency from the list indicates that the RBI hasn’t changed its stance towards them; however, it is open to blockchain technology. The RBI unveiled its draft regulatory sandbox for the Fintech space in the country earlier today. According to the central bank, the fintech regulatory group it put together advised them to introduce a framework that would adequately capture the industry. The bank indicated that some products, services, and technologies are not accepted for testing at the moment. The RBI mentioned cryptocurrencies, crypto trading, crypto investments, crypto asset services, and cryptocurrency settling as exclusions that are not ready for testing. India’s apex bank also added initial coin offerings to the list, even though the regulators have already banned it in the country. In its publication, the RBI clarified that the regulatory sandbox is aimed at increasing efficiency, managing risks, and creating new opportunities for both consumers and participants in the Fintech sector. The RBI pointed out that products and services such as digital know your customer (KYC), money transfer services, AI, digital ID services, machine learning, smart contracts, and blockchain technology are currently considered for testing. India’s central bank believes that the regulatory framework will provide a lot of benefit for the Fintech sector. Users of the regulatory sandbox will be able to test the viability of a product without the need to carry out more extensive and expensive roll-out. If a product has the potential to be successful, then it would receive authorization and be brought to the general market more quickly. However, problems encountered during the sandbox stage would allow developers to make changes to a product before it is launched in the market, the report explained. The publication also includes other benefits such as the consumers having a broader range of products and services, a decrease in the cost of services, and better access to financial solutions. India’s apex bank has always adopted a harsh attitude towards cryptocurrencies, and this latest development shows that nothing has changed. In 2013 and 2017, the RBI cautioned Indians regarding the potential risk involved in trading or investing in cryptocurrencies such as Bitcoin. A year ago, the RBI further published a statement reaffirming that cryptocurrencies still raise concerns in terms of market integrity, consumer protection, money laundering, and other vices. Shortly afterward, the bank banned all regulated companies from dealing in cryptos or providing services for individuals and companies offering cryptocurrency services. The ban came into place in July 2018, and it has so far affected crypto service providers including cryptocurrency exchanges. The crypto industry is fighting back, however, as several petitions have been filed with the Supreme Court to lift the ban. The Indian Supreme Court will hear the case on July 23, after postponing it multiple times. 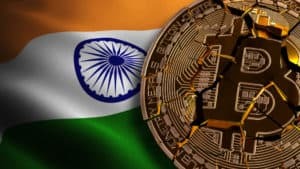 Cryptocurrencies Excluded From India’s Fintech Regulatory Sandbox was originally found on Cryptocurrency News | Tech, Privacy, Bitcoin & Blockchain | Blokt. Cardano has followed up on the declines of last week to retest a support level at $0.08. $0.08 was an important level in the weeks after Cardano initially launching, acting as a resistance point. The price briefly dropped below the level last week, but buyers quickly brought the price back above. The drop below $0.08 last week failed to close below on the daily chart. Buyers quickly came in to bring the price back above. The price has tested the level numerous times already this week and has dropped below today. Numerous tests of a level increase the odds that the price will break below with fewer buyers to hold the level on each test. Both the daily MACD and RSI have been declining since the start of April representing the amounts of selling pressure building. The price has dropped and closed below $0.08 on the 4-hour chart. This has been followed up with two small-bodied candles recording increases. The small-bodied candles reflect uncertainty from traders and the price is likely experiencing some selling pressure at $0.08 which may now be acting as resistance. The South Korean launched cryptocurrency, ICX, has also followed up the last week of losses with more drops being recorded this week. The price increases from two weeks ago managed to close above $0.42 on the weekly chart which is the level where price underwent sharp declines in November. However, the price failed to follow this up last week and quickly found selling pressure to bring the price back below the level. After dropping below the November breakdown level, the price declines continued to test $0.34 as support. $0.34 was a former resistance level prior to the increases two weeks ago and is now likely acting as support. A divergence between the price and RSI preceded the declines recorded this week and last. The RSI failed to overcome its last high recorded at 78. However, the price continued to form a higher high indicating that the price increase wasn’t being matched by a corresponding increase in buying pressure. Both Cardano and ICX follow up the last week of drops with more losses. Cardano is after dropping below a key level at $0.08 after numerous tests. A divergence between the price and RSI in ICX preceded the price drops of this week and last. Both ICON and Cardano Continue Declines With ADA Falling Below a Key Level [Price Analysis] was originally found on Cryptocurrency News | Tech, Privacy, Bitcoin & Blockchain | Blokt. The price of Ethereum has already doubled since its 2018 low in December. A golden cross has been confirmed for Ethereum today, a signal which some traders believe to be extremely bullish for future price prospects. This is the first golden cross that has happened for Ethereum since the 18th of February 2017. It reflects the strong price performance recorded over the past few months and many analysts would consider it to be a confirmation that the trend for Ethereum has switched from bearish to bullish. It may also spur more buyers to enter the market, increasing the levels of buying pressure. The most recent high for Ethereum formed at a resistance level at $183. The price action of Ethereum has been forming a bullish market structure since early April, with both higher lows and higher highs forming. While the price is consolidating today on the daily candle, a significant increase of 2.6% was recorded during yesterdays trading. A follow-up wave of buying would have significantly higher chances of overcoming the resistance level at $183 given that the golden cross has formed and may lead to higher levels of buying pressure. Prior to the golden cross forming, the price briefly dropped below a former support and resistance level at $166 in recent trading. However, the strong price performance over the past few days has brought the price back above, and this level will likely act as support if the price were to drop from here. A golden cross forms on the daily chart for Ethereum, the first one since the 18th February 2017. Many may consider the golden cross as a confirmation that the price of Ethereum is now in an uptrend and the signal may also lead to more buying pressure. The key levels to monitor for Ethereum currently are $183 as resistance and $166 as potential support. Bullish ‘Golden Cross’ Confirmed for Ethereum Today, First Time Since 2017 [Price Analysis] was originally found on Cryptocurrency News | Tech, Privacy, Bitcoin & Blockchain | Blokt.